As a professional pet sitter, my integrity is just as important as the care I provide. After all, I'm entering your home when you aren't there and I'm making sure your beloved furry family members are safe, healthy, and happy. Cutting corners is not an option. I employ professional standards that I practice upon each visit. One of these standards is my "open door policy." what is the open door policy? What is my "open door policy?" Any open door remains open, and any closed door remains closed. This may not seem like a big deal, but it is. why is the open door policy important? The open door policy is important for two main reasons. 1. Privacy. I respect the privacy of my clients. Any closed door is off limits. During each visit, I patrol all open areas of the home to make sure there haven't been any "accidents" and to make sure everything is safe. If a door is closed, there is no need for me to enter. 2. Safety of the animals. If I open a door, there is a chance the animals in my care would accept the invitation to enter. A sneaky cat could slink in and become trapped without food or water until my next visit. Yikes! The open door policy is especially important in homes with cats. are there exceptions to the open door policy? Cats who like to hide may sneak into an off-limits room if the door is opened. The only reason I would open a closed door in a client's home is if I suspected an animal was trapped inside. During my first visit of any service period, I make a mental note of which doors are open and which are closed. When visiting a couple of cats last year, I had a terrible time finding one of them. I looked everywhere, and then it dawned on me that one of the bedrooms that was open the previous day was closed. I opened the door, and out scrambled the cat, straight to the litter box, then quickly to her food and water. Poor thing! She'd somehow gotten into the room and shut the door on herself. I don't know if she'd been trapped for one hour or twenty-four, but she was ready for the bathroom and some nourishment. I called the clients and let them know that she'd trapped herself in the bedroom, and they let me know that it wasn't the first time she'd done it. They were thrilled with my idea to keep the door open with a heavy object, and she didn't become trapped again. "I can't find them anywhere...do you think they may be trapped in a closed room?" She responded "Oh...they have a new hiding place. Check inside the box spring in the master bedroom." I pulled up the comforter and saw the entrance where the fabric was torn. I turned on my phone's flashlight, shone it inside, and, sure enough, two pairs of reflective eyes looked back at me. They were safe! Having let the client know that I suspected the cats were trapped, she was able to fill me in on the new hiding spot, so accessing a restricted area was unnecessary. Worrying about doors may seem like overkill, but I believe that this level of detail is required both for my clients' privacy and the safety of the animals in my care. Considering these types of things is what sets a professional apart. I find that my clients appreciate the attention to detail and know that they can trust me to respect their privacy as well as provide excellent pet care. As you may know, my junior pet sitters are obsessed with crafts, DIY, and anything that makes a giant mess. Me...not so much. I pick up poop all day, so I'm okay with not making a mess at home. When they want to get their inner-Picasso on, I try to find the least invasive-to-my-life project that will also satisfy their artistic yearnings. I'm a great mother in other ways. Swear. 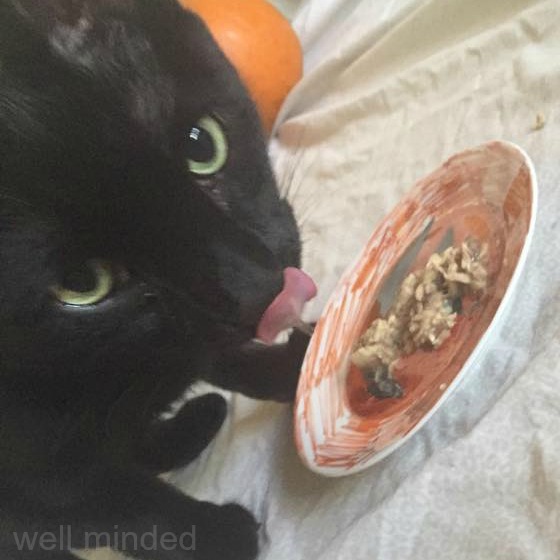 So when the junior pet sitters learned that we had the chance to check out a new natural cat food with our favorite black cat, they jumped at the chance to "add a little something special" to the whole she-bang, and it just SCREAMED Halloween! As a professional pet sitter, I'm often asked for pet food recommendations. That means we're always on the prowl for nutritious, natural pet food. I went on a mission to find one of our favorite clients, Jacopo, a new quality food. We love browsing our local PetSmart for the best in pet nutrition because there is such a variety to choose from. When we went with Jacopo in mind, we discovered Purina Muse® Natural Cat Food, sold exclusively at PetSmart. I love exclusivity, but I'm going to fill you in on it, anyway. 'Cause I'm nice like that. I'm a firm believer in rotational feeding for cats and dogs, so I was on the hunt for a cat food that offered a lot of "recipes" and options. I found Purina Muse, and was totally impressed with the giant array of cans and clear tubs in the cat food section at PetSmart. In fact, I kind-of felt a bit overwhelmed and impressed. Who knew? Purina Muse Natural Cat Food was easy to find in the cat food aisle of our local PetSmart. Check out all of the Purina Muse Recipes at PetSmart. I love that many Purina Muse Natural Cat Food Varieties come in clear tubs so you can see what you're getting. My mind was blown when I started to consider the options. I don't know that I've ever seen such a great variety in natural cat food. There was chicken with tomato and carrot, turkey and spinach, sea bass and herring, tuna and tilapia with a baby clam topper, and ocean whitefish with an anchovy topper, just to name a few. Don't tell anyone, but I was getting a bit hungry, myself, just checking out the different options. Perhaps I should have had lunch, first. Never shop hungry. I selected a few different kinds to try so we could find out which would become Jacopo's favorites. I especially love the clear tubs that the broth and chowder varieties come in. You can see right through the package so that you know exactly what you're getting. That works. Oh, and–added bonus points for Purina Muse–the packaging is recyclable. 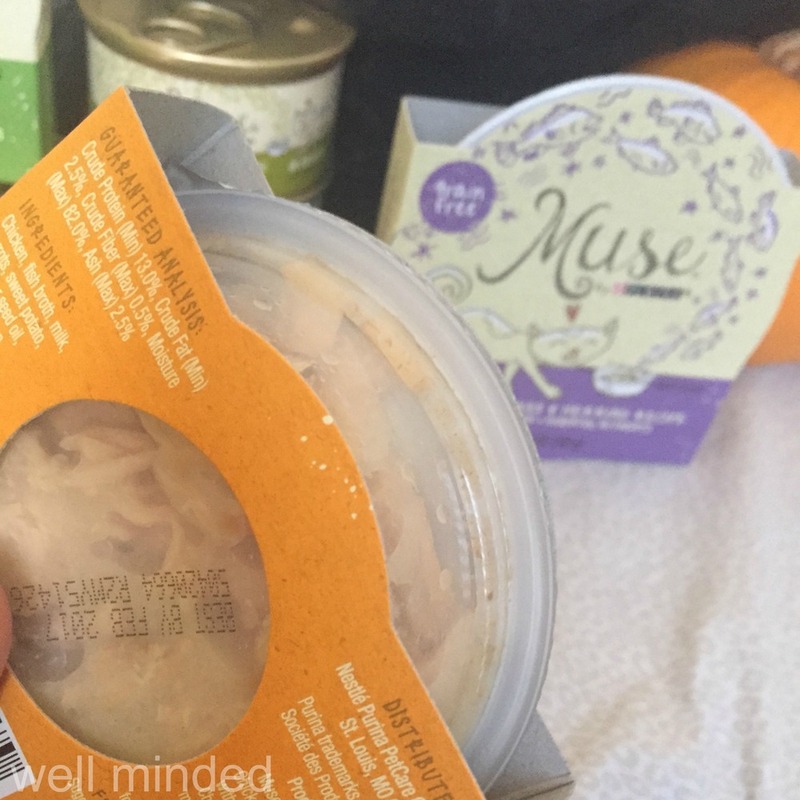 What's best about Purina Muse? Learn more about Purina Muse on the Purina Muse web site. Purina Muse offers a huge variety of grain-free natural nutrition options for your cat. We chose these to try first. 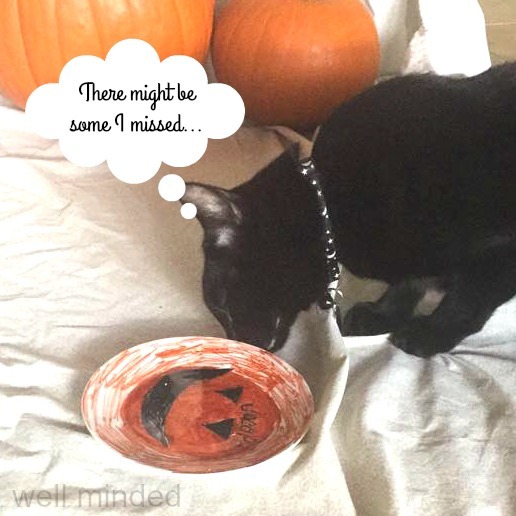 Naturally, we had to design a custom Halloween plate for Jacopo, our classic black cat Halloween muse. Because kids. Because crafts. Once we chose a few varieties for Jacopo to try, we set out to find the supplies we'd need to create our Halloween gift for him. When my junior pet sitters, Porter and Campbell, were looking to get their creative on, I freaked a little, and then figured it out. They especially love to make things for our clients around the holidays, so something of that genre made sense to satisfy their monstrous craft-craving. I can sometimes be a bit of a disaster when it comes to creating anything too elaborate. 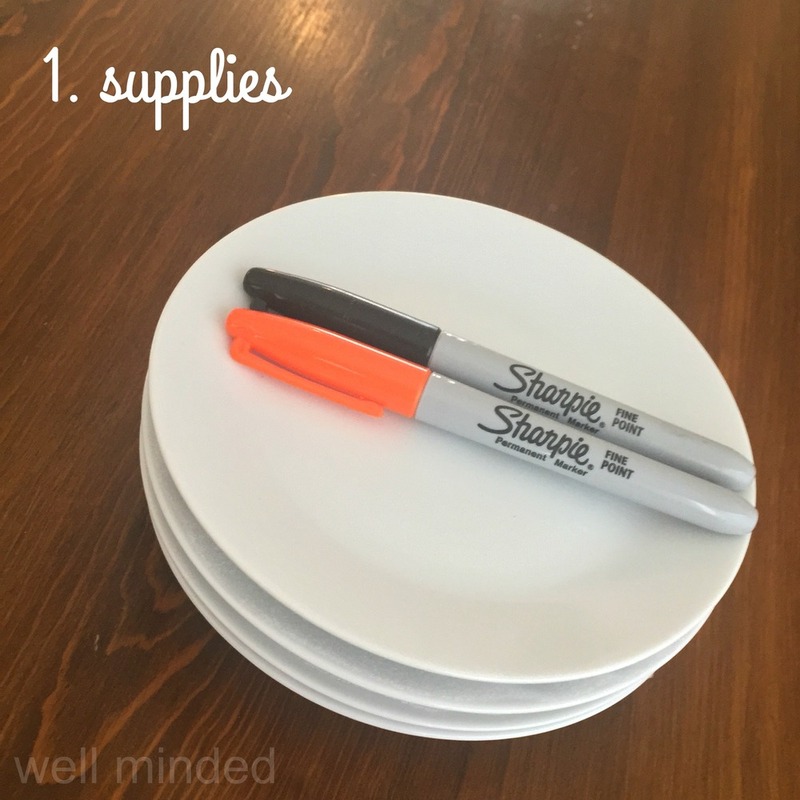 When the kids asked me if they could make something Halloween-themed for Jacopo, a simple project a friend told me about came to mind as the perfect option: a ceramic-cat-dish-decorated-with-Sharpie-pens-and-baked-in-the-oven-to-set-the-design. Easy peasy, right? RIGHT? Looking for some support, here! Our DIY cat dish required minimal supplies. THE DISH: In order to avoid whisker fatigue, it is important to provide cats with a shallow food dish. We poked around at a couple of local stores and found the perfect saucer-like, plain white dish at IKEA. It had a smooth surface for the kids to decorate on, was shallow, and was the perfect size. Since they were only a couple of dollars a piece, we purchased a few extras for future creations (or do-overs). THE SHARPIES: We wanted to create something fun for Jacopo for Halloween, so we chose a simple orange and black color palette. Sharpies come in just about any color you can imagine, so this project would work great for any holiday or occasion. Wash and thoroughly dry your dish before decorating. Decorate your plate. The only limitation in design is your creativity! In keeping with the Halloween spirit, my son, Porter, created a spooky graveyard scene with a black cat, and my daughter, Campbell, created a jack-o-lantern face. They had a lot of fun embellishing their dishes and added Jacopo's name for that personal touch. BOO! The junior pet sitters had a blast decorating their cat dishes. After you're done with your masterpiece, let the design dry completely. After the artists finished their masterpieces, into the oven they went (the plates, not the artists). Trust me, if I can pull this off, you can, too. 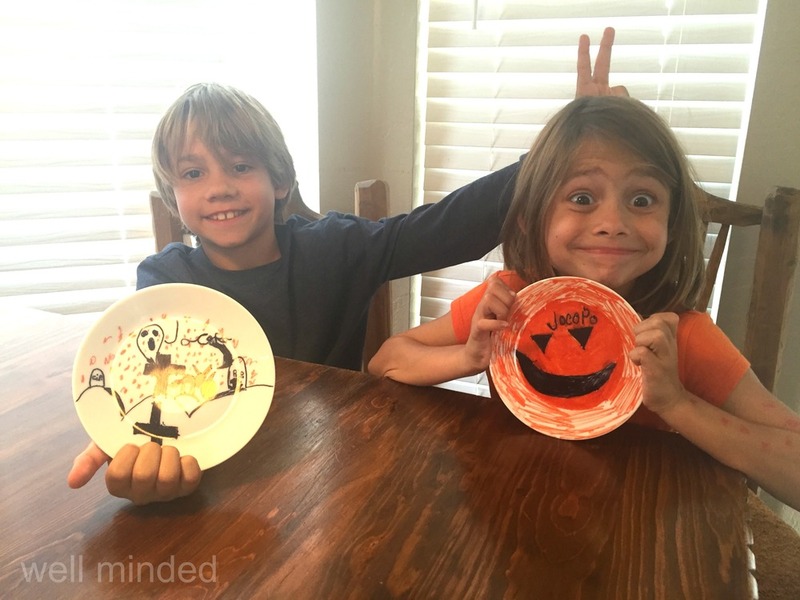 The kids had a blast decorating their plates with Jacopo in mind. DIY cat dishes complete...complete with sibling antics. With our Halloween-inspired custom plates in hand, we ventured off to find our muse. We knew just where to go. As you know, I'm a professional pet sitter, and Jacopo is a pretty awesome cat client of mine. His uplifting personality never fails to put a smile on my face. He's always up for some fun, and he was eager to try Purina Muse® Natural Cat Food. Purina Muse provided Jacopo with great-tasting natural nutrition he couldn't resist even for a second. Jacopo didn't want to miss even a tiny morsel. He dug right in to the whitefish with anchovy topper. In fact, he devoured the whole portion, although he'd already eaten breakfast. He licked his plate clean, then looked under and around the plate end even tried to move it to see if there might just be a morsel he left behind. It was quite clear that he gave the taste a paws-up review. I loved introducing him to a healthy, natural food option, and his mom, Lisa, was thrilled, too. We had a great laugh together about how crazy Jacopo was about it. She is eager to let Jacopo try the other varieties, but we decided it best not to stuff him until he popped on the first go-around. I wouldn't be surprised if Lisa switches Jacopo and his siblings over to Purina Muse permanently. Jacopo and Lisa loved the custom plates the kids made, too, though I think Jacopo liked them better with a full plate of food covering the design. Natural has never been so delicious. Put Purina Muse to the test with our clean plate guarantee! Be sure to check out all of the thirty varieties at PetSmart and let us know which one is your favorite...er...your cat's favorite! Click here for a sweet coupon for Purina Muse® Natural Cat Food. How is your cat your muse? One of the most difficult parts of being a pet sitter is when a client's pet passes away. Over the course of my pet sitting career, I've had to experience this more times than I'd like. Only once has it actually happened in my arms. A handful of times I've let my client know that it might be time when it was too hard for them to let go. But, mostly, the pets I care for pass peacefully with their families. This has happened more than once over the last couple of weeks, and I must say that my heart is breaking. I always say that my greatest qualification as a pet sitter is my love of animals. Sure, it takes a lot more than that to be a professional, but if love doesn't motivate one to do a stellar job, I'm not sure what will. You can't learn to love animals. It's just in you or it isn't. So each time a pet I've cared for passes, a little bit of my heart goes with him or her. I've spent quality time with these magnificent creatures. We've bonded and shared love. They come to depend on me in their owners' absences, and I depend on them because they deliver the best part of my job. They deliver the joy that makes me love what I do for a living. Since we're a small family business, my children sometimes come with me on pet sitting visits, so they, too, become bonded with the pets we care for. These past couple of weeks have been really rough on them, too. Though they have now had quite extensive experience in pet loss at such a young age, it still hits them hard every time. My clients understand the love we have for their animals, and they usually keep me updated if their pets have a serious health issue, even if we aren't caring for them at the time. The humans who hire us understand and appreciate the bonds we share with their pets. We are so grateful that they take us into consideration. The fact that they are dealing with difficult decisions and sadness but still take the time to keep us in the loop is amazing. A couple of weeks ago, I received a text from my client, Liz. * She let me know that their mixed shepherd, Clayton, had taken a turn for the worse. Over the past several months, I'd been taking care of Clayton as the family traveled, giving him supplements, medication, and special food, and keeping an eye on his overall health as he battled an insulinoma (cancer of the pancreas). I helped care for him after surgery, and the family and I were in regular communication about his condition, even when they weren't traveling. Clayton, circa 2007, at the Maricopa Mutt March, a community event I co-founded. Clayton and his family will always hold a special place in my heart. They became clients of mine when Clayton was just a puppy, soon after I moved to Arizona and opened my pet sitting business ten years ago. Their family gave me a sweet little Dalmatian stuffed animal for my son, Porter, when I was pregnant with him...something he still cherishes. After a couple of years, they moved out of my service area, then we moved a couple of times, then they moved again, and just a few months ago, I got an email from Liz..."remember us?" They were back in my service area, and I was reunited with Clayton. To say that these people and this dog are special to me would be an understatement. A couple of weeks ago, when Liz let me know that Clayton had taken a turn for the worse and that the veterinarian was running some tests over the weekend, it didn't sound good, but we hoped for the best. Come Monday morning, I received a text from Liz letting me know that the cancer had spread to Clayton's bones and had made them so brittle that they could break at the slightest pressure. If that happened, the bones could not heal, and he would be in a great deal of pain. There was nothing more to do. There was really only one choice to make. Liz let me know that the vet would come to their home that evening at 7:00 PM. Campbell took the news about Clayton particularly hard. Our dog, N.A.S.H.A., tried to comfort her. I thought about Clayton and his family all day and watched the clock. I broke the news to my children, and they were devastated. We'd spent a lot of time with Clayton over this past summer, and they had really bonded with him, too. As the clock struck 7:00 PM, we stopped what we were doing, had a group hug and a moment of silence for Clayton. About an hour later, I received a text from Damon, Liz's husband, letting me know that Clayton had passed peacefully. Over the next few days, I exchanged quite personal text messages with Liz and Damon. They sent me a picture of Clayton enjoying the back yard just a few hours before he passed. Their family was struggling, and so was ours. I tried my best to support them. After all, it was their dog. Even so, they somehow understood our deep loss, as well, and considered our feelings. They even offered for my children to choose one of Clayton's toys as a keepsake, as her children had. This was truly a remarkable relationship. A couple of days ago, a card came in the mail. It was addressed to the "Junior Pet Sitters." The thoughtful message to my Junior Pet Sitters. The kids smiled and got a little teary, as did I. Included inside was a gift card for them to get some ice cream. That made them smile, and–I think–made us all feel like there is a light at the end of the tunnel. Times are sad, but we can always find joy. And what better joy than ice cream, right? I plan to take the kids for ice cream this week and use it as a time to remember all of the things we loved about Clayton. I couldn't be more thankful to have these people, and to have had this dog, in our lives. Bonds like this go beyond the "business" of pet sitting. I am looking forward to the day when the Ashcraft family brings a new dog into their lives. They are remarkable pet parents, and I have confidence that our partnership in pet care is far from over. It may take some time, but we'll be here when they are ready. R.I.P., Clayton. You will always have a piece of our hearts. Junior Pet Sitter Porter enjoying cuddles from Clayton. Clayton and I liked to cuddle. The many moods of a morning walk with Clayton. Clayton enjoys a good brushing from Junior Pet Sitter Campbell. Smooshing in for a selfie. *All names are typically changed in the interest of client anonymity, but I have been given special permission from my clients, in this case, to use their real names. I wanted to honor them properly. The intense summer heat here in Phoenix arrived a bit late this year, but mother nature is now making up for it. Our daily highs have been up to 117°, which is more than uncomfortable. Indoor activities and exercise are best for both humans and animals. It's kind-of like being snowed-in, except we have the opposite problem. We have to be especially careful to be sure our animals stay healthy and protect them from the harsh temperatures. Mid-day dog walks are out of the question, so I have to walk my clients before dawn. Double-checking water bowls are also critical. When I make my pet sitting visits, I make sure all of the animals in my care are comfortable and not suffering from any heat-related issues. I've recently learned more about heat stress in chickens, as I've been called upon several times to check on some of my favorite chickens who haven't been doing too well with the recent heat. Recognizing heat stress in chickens and how to prevent and treat an overheated chicken. Backyard chickens are sensitive to temperature, which can be a challenge since they are primarily outdoor creatures. As lovely as they are, not many of us would invite them inside to sit on the couch with a glass of iced tea to cool off. Chickens can succumb to heat stroke rapidly, so it is important to monitor them closely and intervene at the first sign (or before) of distress. One of my clients thought she might lose her chickens on a couple of occasions this summer and has called on me to check on them during the hottest parts of the day if she can't be there. She has educated me about the signs that a chicken is suffering from heat-related distress, and I have done some additional research in order to be better prepared. So what should we look for to determine if backyard chickens are in trouble? • Wing Spread. Chickens typically keep their wings fairly close to their bodies. If a chicken has its wings spread for a prolonged period of time, she is trying to increase air circulation around her body in an attempt to cool herself. • Lethargy. Decreased activity levels and laying down are signs that a chicken is overheated. Eggs I collected during one of my chicken-sits. At left is the "distressed" egg side-by-side with a normal egg. At right is a closeup of the distressed egg. • Panting. While panting is a way dogs help themselves cool off and is quite normal, unless excessive, if you see a chicken pant, it's time to intervene. They cannot regulate their body temperature as efficiently as a dog. • Waddle and comb lose color. If the chicken's waddle and comb lose color, it is likely a sign of being overheated. The waddle and comb may also appear overly dry. • Misshapen eggs or no eggs. If your chicken stops laying eggs according to her regular schedule, or if the eggs are misshapen, your chicken may be overheated. If left untreated, an overheated chicken can begin to have seizures and convulsions, leading to heat stroke and likely death, in a relatively short period of time. Early intervention is critical. • Making sure they have fresh ice water. Chickens tend to be a bit messy, so their water should be checked for cleanliness and temperature several times a day. Three of my favorite ladies beating the heat in the shade while wading in a puddle. • Misting system. The chickens I care for do very well with a misting system that attaches to an outdoor fan. The fan and mist together provide the chickens with a cool area that they can enjoy. • Shade and shelter. Chickens should never be forced in full sun, especially when temperatures are so high. Making sure their area has plenty of shade is critical. • Water for cooling. Chickens don't love to swim, but in an emergency, they can be dunked into cool (not cold) water up to their necks to provide relief. You may also consider providing a wading area, such as a kiddie pool, for them to cool their feet. They don't love it, but hosing them down is another tactic for cooling. • Electrolyte replenishment. Dehydration and heat stress deplete vital electrolytes in the body. The Chicken Chick has a great, easy recipe for a homemade electrolyte solution for chickens. 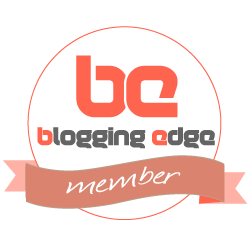 She also shares a lot of other great information, so check out her site. • A safe indoor space. As a last resort, chickens may need to be invited inside. My clients are lucky in that they have an air-conditioned tack room with a large dog crate, so I've been advised to seek shelter for the chickens there, if they overheat. If you're not lucky enough to have a tack room, a bathroom is a great alternative. It's fairly easy to wipe down once your chickens are ready to go back outside. Do you keep backyard chickens? How do you protect them from harsh elements? 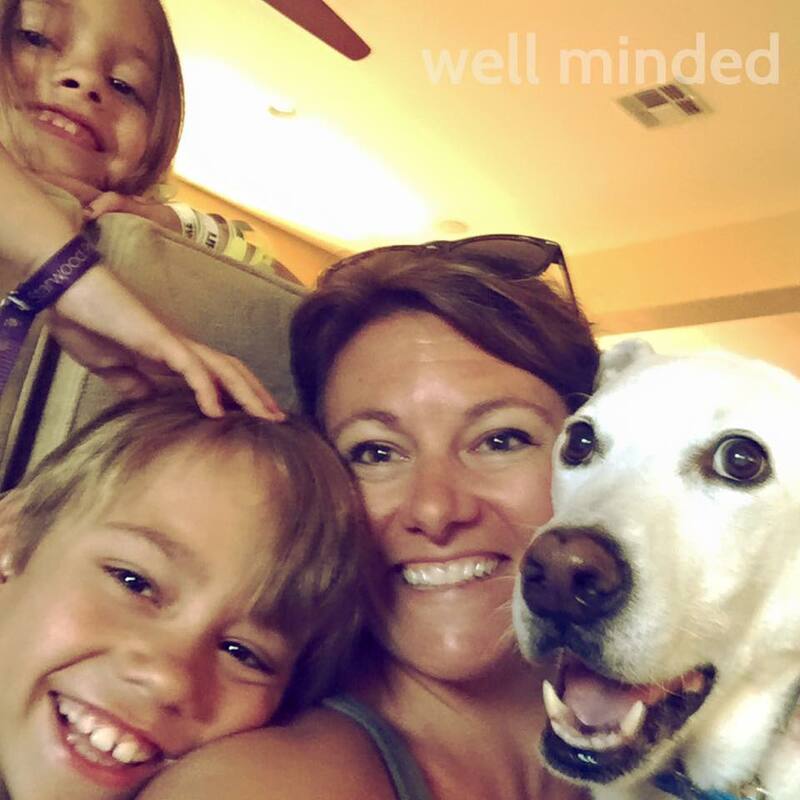 I have been a full-time professional pet sitter for over ten years, and, in that time, I've met with a wide variety of pet parents. Some will write me a detailed novel about every intricacy involved in the care of their animals, and others have a "just do your thing," attitude. I appreciate and accommodate each of my clients so that they are comfortable, but one thing holds true for all of them: I require a consultation for all new clients. The importance of a consultation with your new pet sitter. I recently earned the business of a new client that I wasn't so sure about at first. The pet parent initially contacted me via text and let me know that she didn't think a consult would be necessary...that I should just show up for the first visit. I politely explained that I require a consultation for all new clients, and she agreed to meet with me. During our meeting, I very much enjoyed my conversation with her and immediately fell in love with her pooch. About halfway through our consult, she said "wow, this is really impressive. I've never had a pet sitter ask all of these questions before." Perhaps that's why I'm the third pet sitter she's tried in recent months. I hope to be the last. So far so good! All those questions...what do I ask about during the initial consultation? • about the humans: contact information, travel itinerary, emergency contacts, etc. • all about each pet: health history, medications, personality, behavior, exercise, routine, diet, likes and dislikes, etc. • vet information and permission to seek care: I ask for the established/preferred vet and ask my clients to sign a release granting me permission to seek veterinary care for their animals while they travel. • about the home: security, others with access, where cleaning supplies are (for pet accidents), where are pet supplies located, do plants need to be watered, lights rotated, window dressings open/closed? • the grand tour: I ask that my clients show me around the areas of the home where the pet(s) will have access, and inform them of my policy to do a sweep of that area (I never open closed doors). • terms and conditions: I ask that my clients review and sign terms and conditions, which protects both of parties, legally. Aside from all of the detailed information I request, the consultation, which usually lasts about 45-60 minutes, is a great opportunity for the family to get to know me, and for me to get to know them. Why is this important? • I want them to feel comfortable with me. Though this is a business, I am entering their home and caring for their beloved furry family members, which is quite personal. The initial consultation is a great way to start building trust with a new client. • Before I accept a new client, I want to be sure that I am comfortable in their home and with their pets, as well as with the requirements of the job. • I can see where things are and what needs to be done and have the opportunity to take notes and ask additional questions based on the client's needs and environment. • If I have any concerns or questions, they can be addressed before they are traveling and have limited ability to help me. • The animals get to meet me before I care for them in their humans' absence. It's important to build trust with the pets as well as the humans. • I get a signature on all forms, protecting both parties. • I receive a key in a secure way (no leaving it under the mat). After the initial consultation, sometimes I never see the humans again. We keep in close communication via phone, text, and email, and I ask that they update me on any changes with their pets or their home. When they adopt a new pet, I typically ask to drop by and meet the new addition (unless it's a fish or something...fish don't really care who feeds them). I find that establishing a connection in person is beneficial for both parties. Though I have a professional relationship with my clients, we also have a personal tie due to the intimate nature of my work. 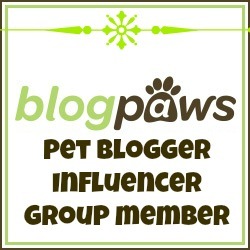 Plus, my clients love to see their pets grace my Facebook, Twitter, or Instagram feeds while they are away. An initial consultation is important for both the pet parents and the pet sitter. 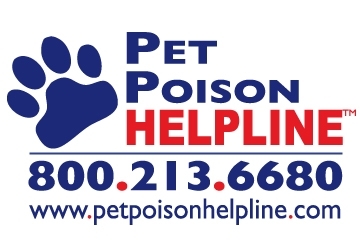 Do you have a pet sitter? Did he or she require an initial consultation?